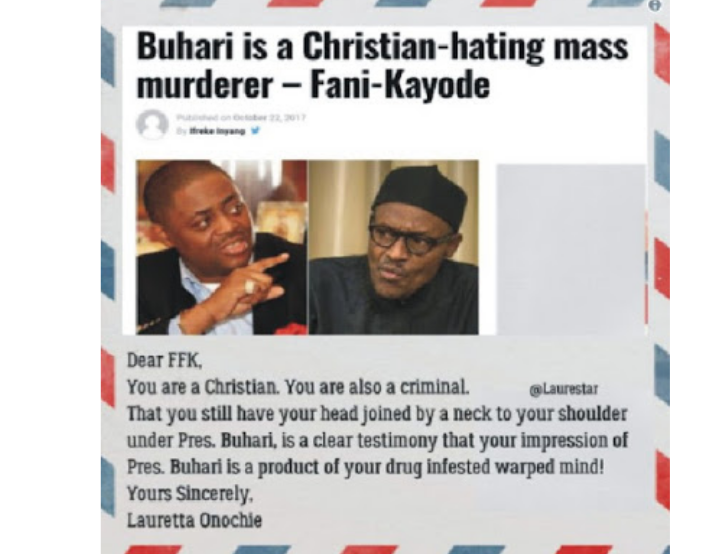 Home > PHOTOS > Lauretta Onochie Mocks FFK - "Jonathan & Southeast Leaders Have Denounced IPOB"
Lauretta Onochie Mocks FFK - "Jonathan & Southeast Leaders Have Denounced IPOB"
Presidential aide on social media, Lauretta Onochie has lashed out on Femi Fani-Kayode, former aviation minister, for describing President Muhammadu Buhari as a “closet radical Islamist and Christian-hating mass murderer and salafist.” ..
Fani-Kayode on Sunday, October 22, shared a tweet where he said President Buhari was and I quote; “Christian-hating mass murderer.” Reacting through her Twitter handle, Onochie asked the former minister to get a life since the IPOB he was allegedly using as a tool to fight the government was no more. “There’s life after IPOB. 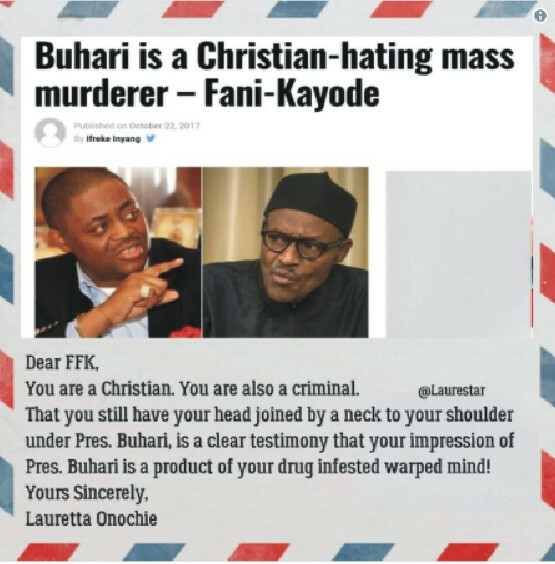 get a life, Femi Fani-Kayode! “Igbo traditional leaders, south east governors, Igbo opinion leaders and even His Royal Cluelessness, ex-pres. Goodluck Jonathan, have all denounced your boy, Nnamdi Kanu and his idea of Biafra. Editor's Note: Frankly, I am indeed disappointed of how Nigeria government has degenerated to this kind of stupidity. Even if former government officials are bent on throwing tantrums, (which is what they are suppose to do as opposition parties) does that make the incumbent government stupid? 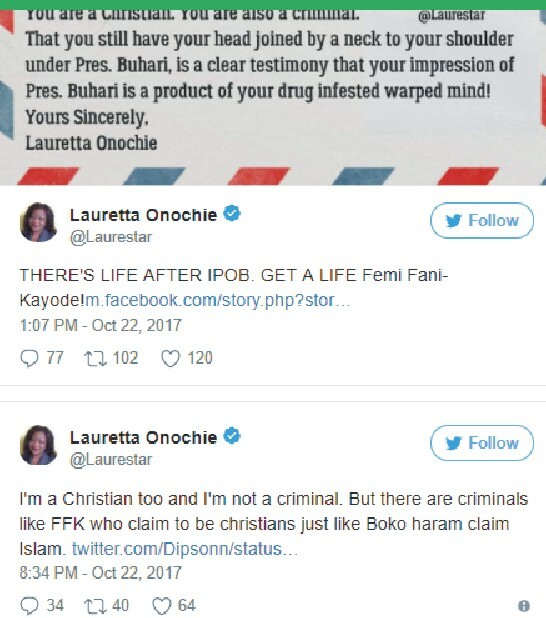 How can this lady be insulting an ex president of this country Goodluck Jonathan officially? Yes he can be insulted on social media and other places by the citizens but not through official channels and her words are too harsh. She can insult FFK, I don't care but an ex president? He is not his mate for God sake.